Methods such as transcranial magnetic stimulation (TMS), transcranial direct current stimulation (tDCS), and transcranial alternating current stimulation (tACS) are rapidly maturing into exciting treatment options. At the Carolina Center for Neurostimulation, we are at the forefront of these innovative developments. The Carolina Center for Neurostimulation was founded in 2017 with the vision of meeting the growing needs of patients and researchers interested in neurostimulation treatment paradigms. Since its inception, the center has become a vibrant collaborative space for the advancement of neurostimulation in psychiatry and neurology. 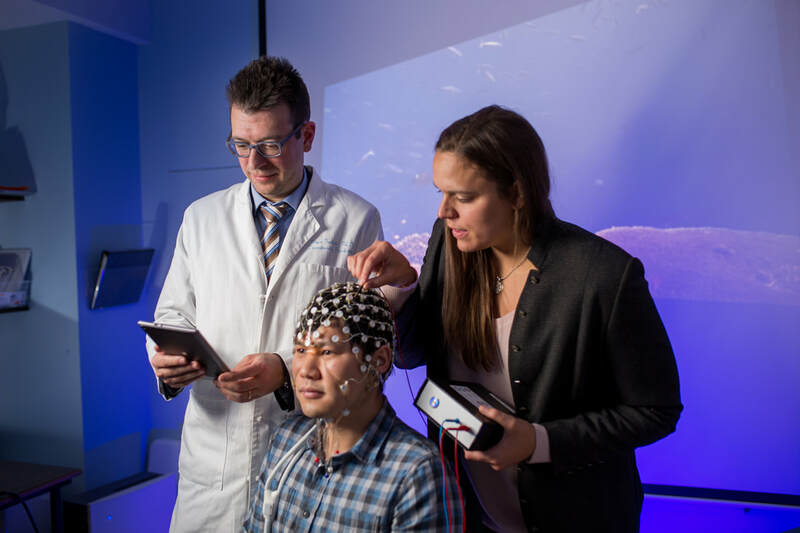 The center currently provides FDA approved neurostimulation treatments to patients, as well as opportunities to participate in neurostimulation research studies. It also provides researchers with the services and opportunities needed to conduct cutting edge neurostimulation research through collaboration. Dr. Flavio Frohlich, Associate Professor in Psychiatry at UNC, directs the center. He is world-renowned for his work on network neuroscience and rational design of non-invasive brain stimulation to target brain rhythms. His unique background and training puts the Carolina Center for Neurostimulation at the forefront of the coming revolution of neurotechnology in psychiatry and neurology. Dr. Justin Riddle PhD serves as the Scientific Director. We have a growing advisory board that includes Dr. David Rubinow, Chair of the Department of Psychiatry, and Dr. John Gilmore, Vice-Chair of the Department of Psychiatry.